Florida has plenty of species of crabs but when it comes to winding up on a menu, it really boils down to three. Pun intended. The blue crab, the stone crab, and the golden crab have filled, for the most part, the niche for crab lovers in Florida. Crabs are crustaceans that have ten legs, the claws actually considered a pair of those legs. The middle six legs are used for walking while the back pair are often used for swimming. While harvesting crabs as food, rules and even etiquette often demand that the females be thrown back. Where females are collected, it is not permissible to use those carrying eggs. To the uninitiated, knowing whether a crab is carrying eggs might seem difficult, but it’s not. 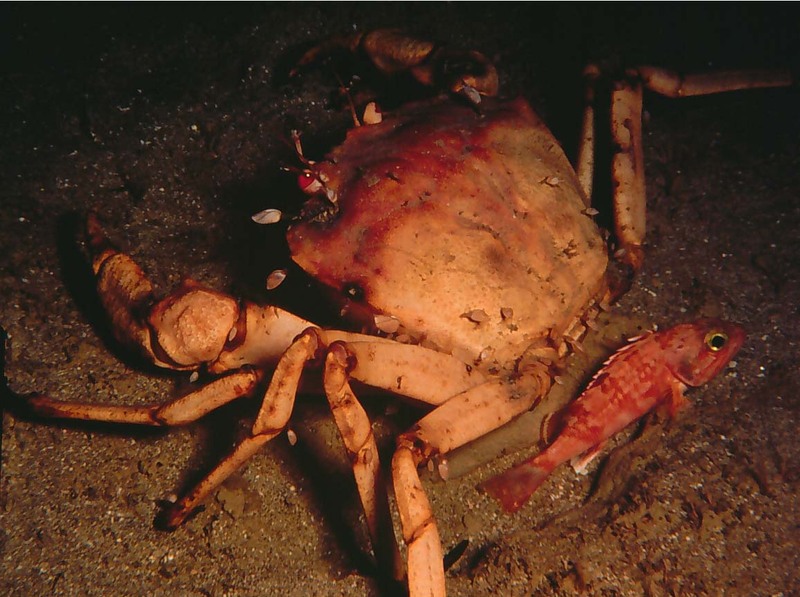 Crabs carry their eggs on the outside in a collection that looks like a sponge. The ladies are frugal and plan ahead, able to carry sperm after mating for many months for later use. The number of eggs carried can be staggering, leading to the assumption that die-off rates among the young are extreme. The larger females among the stone crabs can carry a million eggs! 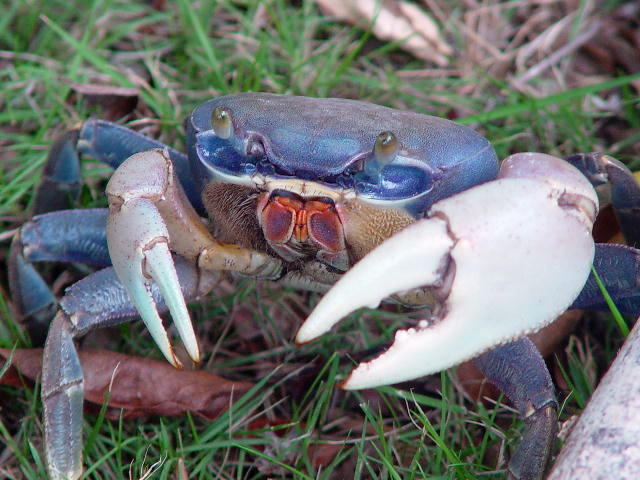 Blue crabs are the most common of the three and are found throughout Florida. While they are saltwater creatures, they will tolerate fresh water. They are found along the entire, very long coast of Florida but also in its rivers and back waters. Blue crabs inhabit the entire 300 miles of the St John’s river that flows past Jacksonville and empties into the Atlantic. To preserve the species, certain shut off dates are used, those dates alternating back and forth between east and west Florida during odd and even years. Blue crabs are easy to collect and simple to cook. They might be considered the common man’s crab because a simple salt water fishing license allows you to catch them. Stone crabs are found mostly in the far south of Florida but can be found farther north in smaller numbers. They have a set season for collection that runs from October 15 through May 15. They are fished by snapping off their largest claw, which must be done properly to keep them alive. Studies show that most of the crabs do survive when harvested correctly. They can regrow any limb or even let a damaged one go. Only the one claw is harvested and the living crab is dropped back into the water. Golden crabs are the least well-known crab of the three and for good reason. They were not labeled as a separate species until the late date of 1984. They are also considerably harder to find, living in a 1000 feet of water. They are native to the Gulf of Mexico, making them a valid Gulf Coast delicacy. The first attempts to harvest them were failures until refrigerated water was introduced on boats to match the deep see waters where the golden crabs thrive. Only five vessels have the rights to fish golden crabs, leading to a lack of regulation to preserve the species. Small males and females are nevertheless returned to the water by the fisheries. Of the three crabs, the golden crab offers a considerably larger yield of meat. Education was necessary when the golden crab first entered restaurants because the shell did not turn red when cooked like other crabs. The cost and availability doesn’t follow a predictable pattern. Blue crab are the cheapest but are hard to find a store or restaurant at all. 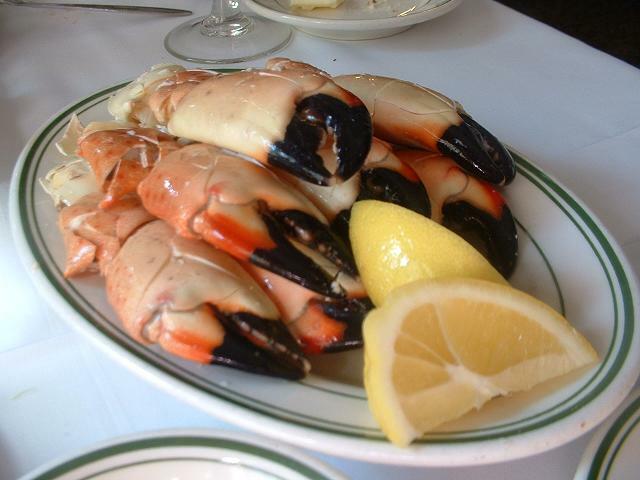 Stone crab claws range from $30-$50 per pound. Golden crab can be purchased for $5-$7 a pound, that’s the whole crab, mind you. So which would you prefer? If you live in or visit Florida regularly, you might already know. Otherwise, give them a try next time you have a chance. 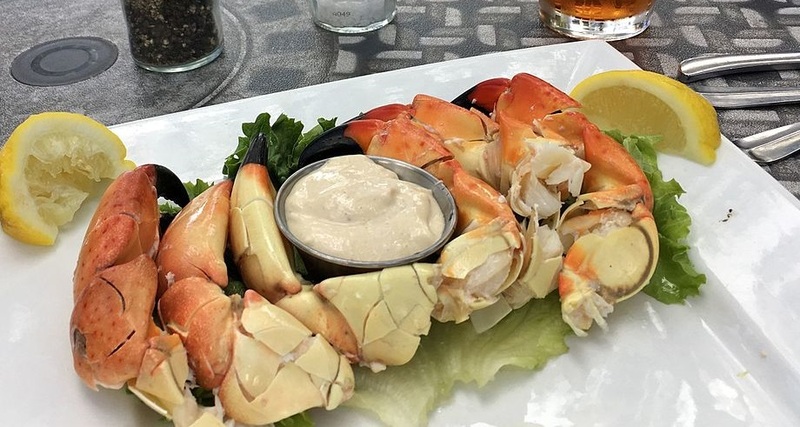 Florida loves stone crab festivals, which is definitely the funnest way to discover that taste. Golden crab is something you will have to look for. And, as for blue crab? You could always tie a raw chicken leg to a piece of kite string and try your luck!